Cuningham Group Architecture, the international design leader now celebrating its 50th anniversary, has unveiled designs for the Providence Breeze Advanced Care Center. 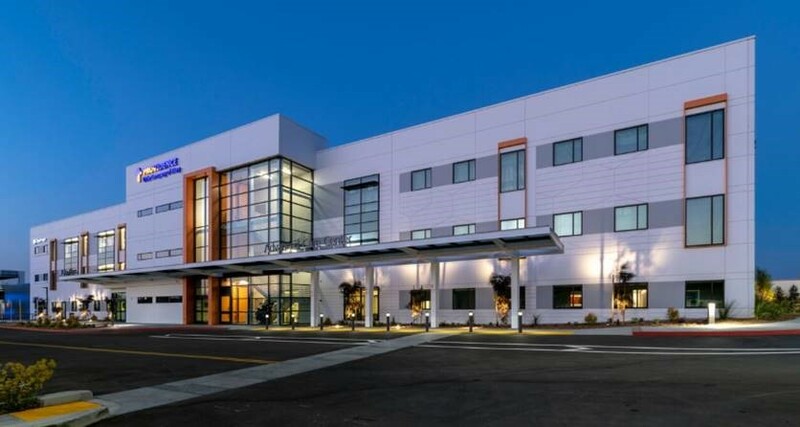 The medical facility recently opened in Torrance, California – on the site of the former Daily Breeze newspaper facility – with the City of Hope Cancer Center. Additional tenants will join the facility in 2019, all exhibiting advanced approaches to patient-centric care. The state-of-the-art facilities emphasize the latest understandings of healthful design, said Project Architect Julian Barajas. 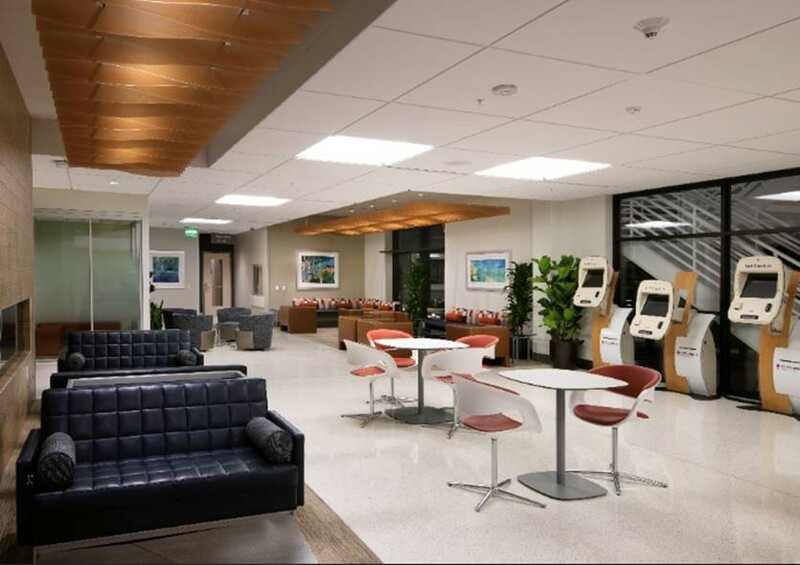 Patient Centric: Core common areas and entries are created for the public or patients. Staff will arrive though other entries. Concierge Service: Rather than a traditional registration desk, the center offers a concierge desk – as in a hotel – with a person at a table or where guests can register on a kiosk. The front areas include a coffee shop. Living Room Seating: Waiting areas are broken up into separate clusters. This creates a home-like, living-room feeling. Even the more clinical spaces emphasize warm, natural materials, with spaces that feel less like a hospital and more like hospitality design. Spa-Like: The Women’s Center component offers a resort-style approach, with a softer ambience and warm materials to diffuse the stress sometimes associated with mammograms and other treatments. Organic patterned screens in the waiting room hearken to biophilic design. Symbolic images of nature to help to reduce stress. Purple accent walls provide an updated spa feel, and the fireplace is a nice touch to help ground a person. This more home-like design – not harsh or sterile – extends to the entire complex. Founded in 1968, Cuningham Group® is celebrating 50 years of Uplifting the Human Experience through great design and a client-centered, collaborative approach. Cuningham Group transcends tradition with architecture, interior design, urban design, and landscape architecture services for a diverse mix of client and project types. Awarded the American Institute of Architects Minnesota Firm Award, the firm is consistently recognized as a design leader and has grown to more than 380 employees in offices in Minneapolis, Los Angeles, Las Vegas, Denver, San Diego, Phoenix, Beijing and Doha. For more information, please visit cuningham.com.